Brow lifts can be a very rewarding procedure for many patients. Not only can the brow position be reshaped, but prominent furrows of the central forehead (frown lines) can be improved for many patients. Although the final results can be quite pleasing, the operation does have significant down time associated with it, and many patients simply do not have the time to recover from it. Treatment with either Botox or Dysport can be used as a chemical brow lift in many cases. Not only can this be used to reduce wrinkles of the central forehead, as well as frown lines, but the outer portion of the brow can also be elevated mildly with Botox. This can lead to a more youthful appearance around the brows and eyes, and avoid the need for aggressive surgery. The only real downside to these treatments is that they must be repeated every 3-4 months. However, the procedure can generally be performed relatively quickly, in 10-15 minutes. 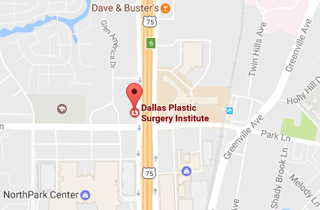 Should you have any questions regarding brow lift, Botox, or Dysport treatment at the Dallas Plastic Surgery Institute, do not hesitate to contact Dr. Jejurikar at 214-827-2814.